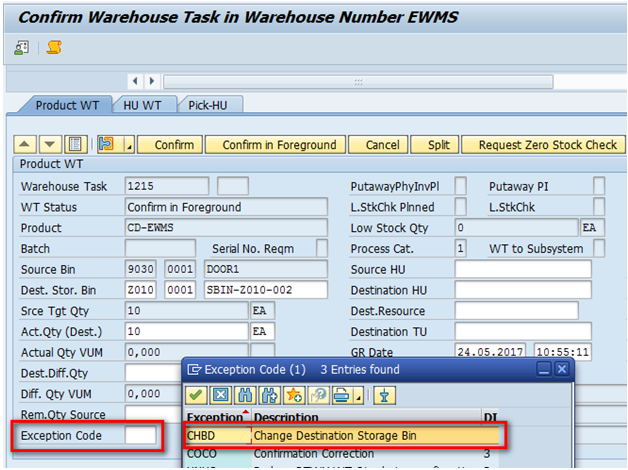 In EWM, the destination bin may have to be changed while WT confirmation due to various reason. This can be achieved using Exception code. 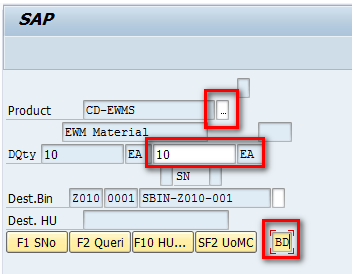 SAP has provided standard exception code CHBD. Click on the node: Create Exception Code and create an exception code CHBD or you can copy the standard exception code CHBD to your warehouse. By selecting the exception code CHBD then click on Node: Define Exception Code. 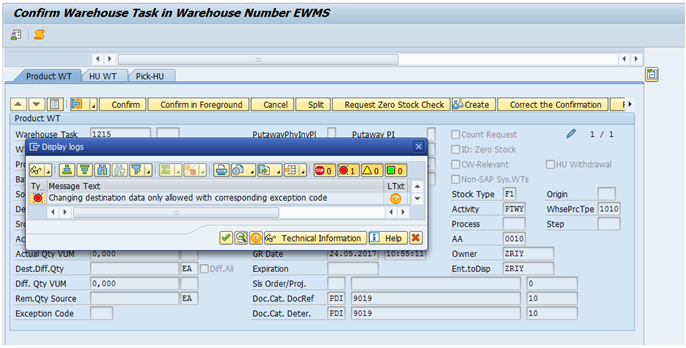 Here, the Business Context should be TPT Confirm Warehouse Task (Put away) as we want to change the destination bin during putaway WT confirmation. 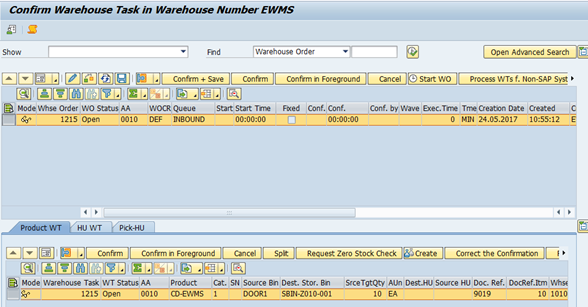 TPI Confirm Warehouse Task (Stock Removal) for changing the destination bin during stock removal WT confirmation. Also we should use the following Execution Step according to the requirement. Here, we are going to see both Desktop Product WT and RF Product WT confirmation. So execution step 02 and 06 to be configured. 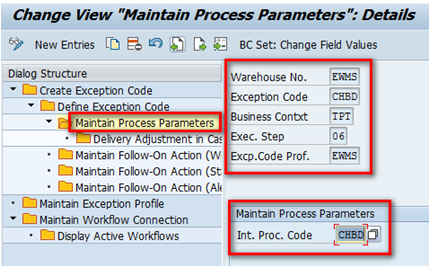 Then select the 1st entry and click on the Node : Maintain Process Parameters and in the next page, you need to enter the Internal Process Code as CHBD. Repeat the same for 2nd entry. Once the above settings is done, now we can proceed in using it during WT confirmation to change the destination bin. Then switch to FORM view to display the WT details. Now click on “Confirm in Foreground”. So that destination storage bin will be editable. 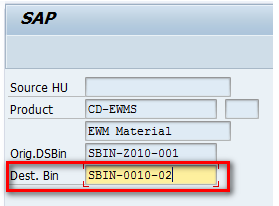 Then change the destination bin from SBIN-Z010-001 to SBIN-Z010-002. As we can change the destination storage bin only by entering the exception code, please enter the defined exception code and click on SAVE. Once we saved after entering the exception code CHBD, WT will be confirmed. 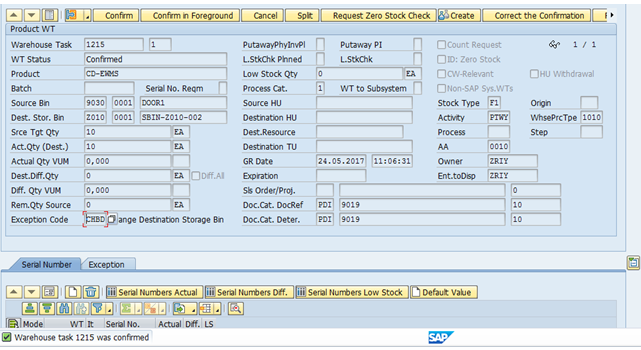 Scenario 2: Destination Bin Change in RF During Product WT Confirmation. 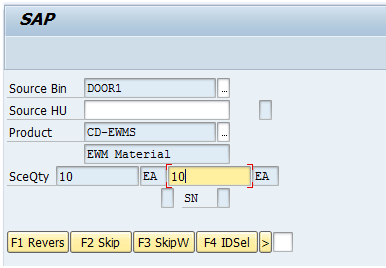 Login to RF and access the WO to confirm. Press enter. Then in the next screen, confirm the Source Data. Press Enter. 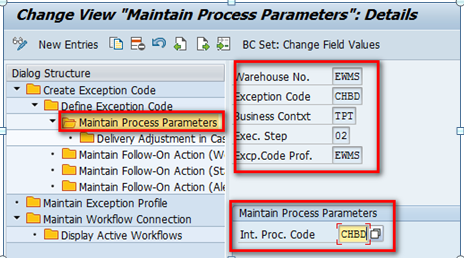 Confirm the product and destination quantity data and enter the exception code CHBD in the Shortcut field. Press enter and in the next screen, system will ask us to enter the new destination bin. As shown above, enter the actual destination bin and press enter. So that task will be confirmed. Kindly provide the comments to improve further with contents. Do we have an exception code for the same ? The only way is to cancel the current task and create a new one.